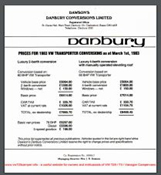 Added a download of a January 1987 VW T25 / T3 Westfalia Joker / Club Joker Pricelist to the VW T25 / T3 1986 – 1990 Westfalia Joker Model History and VW T25 / T3 1986 – 1990 Westfalia Club Joker Model History page. The four page pricelist in the German Language (Deutsch) contains prices for 1987 year model range Joker and Club Joker (the ones with the light grey furniture ;-)) as well as information on the different colours and options available. 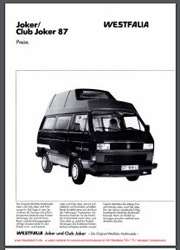 Added a download of a 1980 VW T25 / T3 Westfalia Vanagon Campmobile Supplement User manual in English Language to the VW T25 / T3 / Vanagon Westfalia Downloads Page. 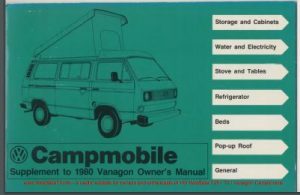 This was for the USA and Canadian market and was an extra manual to the Vanagon Owners Manual with instructions for operating the camping equipment in the Camper model. 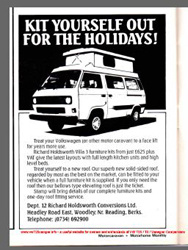 Added a download of a Feb 1987 VW T25 Richard Holdsworth advert for Holdsworth Villa 3 furniture kits and roofs to the VW T25 / T3 Holdsworth Downloads Page and the VW T25 / T3 Holdsworth Villa 3 Model History Page. 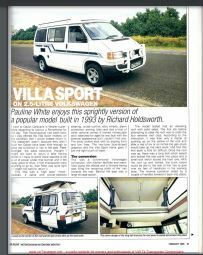 These furniture kits enabled Richard Holdsworth Conversions Ltd to convert a customers own van into a Holdsworth Villa 3 Camper and / or have a Holdworth roof fitted. 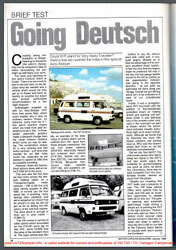 Added a download of a VW T25 Autosleeper VHT Magazine Review from Jan 1989 to the VW T25 / T3 Autosleeper Downloads Page and the VW T25 Autosleeper VHT Model History Page. 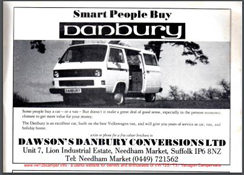 The VHT model had a hightop roof and was the forerunner to the Autosleeper Trident model. At the time of writing entering the registration number from the photo into the DVLA vehicle check site this van had a valid MOT up to June 2018 and is declared SORN (off road). Maybe a reader of this post owns it ? 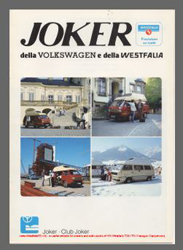 Added a download of a 12 page colour 1986 VW T25 / T3 Westfalia Joker / Club Joker Sales Brochure in the Italian Language to the VW T25 / T3 1983 Westfalia Joker Model History and VW T25 / T3 1985 Westfalia Club Joker Model History page. 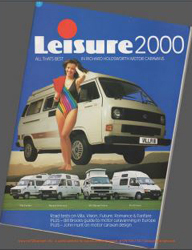 Added a download of a 1987 Holdsworth Leisure 2000 Magazine to the VW T25 / T3 Holdsworth Downloads Page . This was a magazine made by the Holdsworth company once a year to showcase their current models. 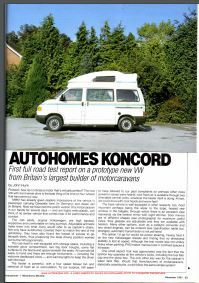 Featuring articles about the Holdsworth Villa Mk3 and Vision and also non VW models such as Ford Future, Renault Romance and Fiat Fanfare as well as articles giving a deeper insight in to the Holdsworth Company in general. 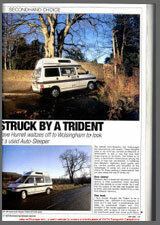 Added a download of a magazine review from May 2002 of a second hand 1997 VW T4 Autosleeper Trident to the VW T4 Transporter Autosleeper Downloads Page and the VW T4 Autosleeper Trident Model History Page.